Every year it seems as if working on Order of Operations is a brand new concept for my students, as if it has all of a sudden become a foreign language. I will admit that if you are just looking at a mnemonic device it might as well be a foreign language.. PEMDAS, BEDMAS, GEMS, yep, none of that makes sense to a student and when you throw it in with other mnemonics they have been exposed to it is sure to confuse. Typically in my class I will tie in what the students already know about the topic with our Interactive Notebook lesson so that I can build buy-in and confidence. This is so important because I can’t tell you how hard it is to teach math to seventh graders at 7:30am much less 3:00pm. 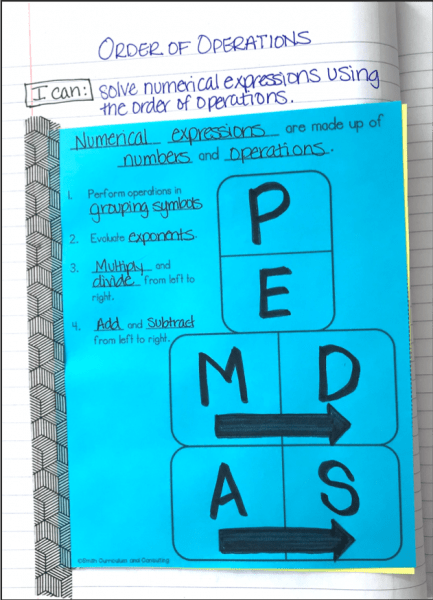 For me, I typically ask my students what they know about the Order of Operations and we create an anchor chart to “brain dump” all of our information. It is notorious that students will talk about multiplication, division, addition and subtraction and most often will bring up parenthesis as well. Aunt Sally typically plays an appearance as well… doesn’t she always? 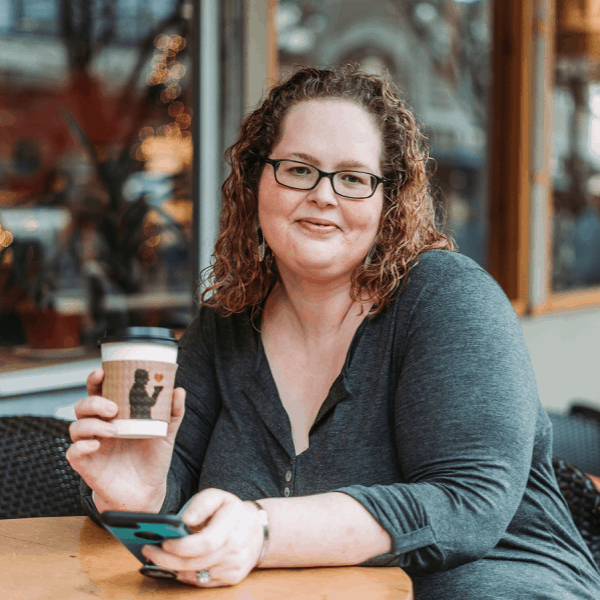 She tends to lead us into a discussion about what the word “order” means and why it is important that we solve in a systematic way. I use this time to talk about misconceptions and how the order really is from left to right when talking about inverse operations. Yes, bringing in more vocabulary for them. Typically we come to the conclusion that Order of Operations means that we simplify an equation based on the order of operations knowing that our inverse operations (multiplication/division as well as addition/subtraction) are to be done in order from left to right in the equation but only after we have first done items in parenthesis and then numbers involving exponents. For most this is the first exposure to exponents or at the least they have only done through squared or cubed numbers. Using this information that they already know leads us into taking notes in our interactive notebooks. Using the Order of Operations pyramid, students are exposed to the building a foundation in the order of operations in a top-down approach. I guide my students through this process and we fill in step-by-step notes as we go along. As you can see we used washi-tape to create a flap to adhere it into our notebook. The benefit of this is that we can then use the notebook paper portion to work through several examples together which allows me to model how to underline (or highlight) each step as we work through a problem. 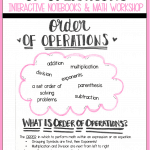 Ready to Practice Order of Operations? We all know that students need a TON of practice for this, and even more practice beyond that. Beyond the practice that my students do in their interactive notebooks, I find it important to incorporate this into Math Workshop regularly. Because of this I have create multiple methods to keep my students practicing throughout the year. 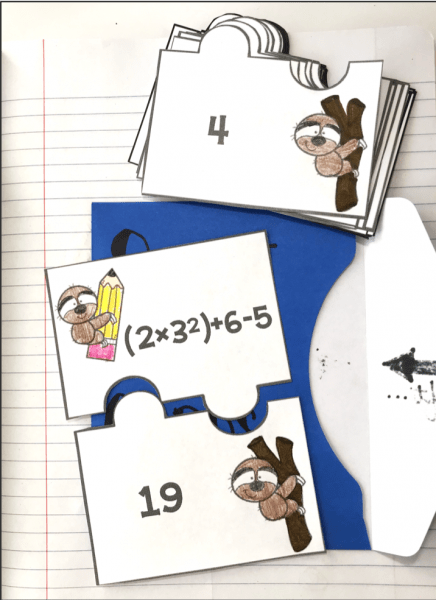 The first of these is the Order of Operations Puzzles where students are posed with an equation and must find the solution to the problem to find the correct answer to match the two pieces together. Typically I provide students with dry erase boards and erasers for this station so they have a place to work out the problems. Something about putting a dry erase board and a marker in a students hands and it just engages them in their learning. 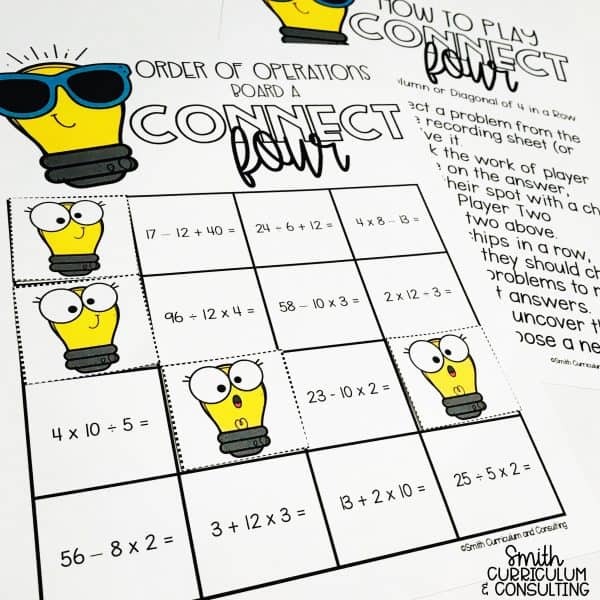 Another of my math activities for Order of Operations is Connect Four Order of Operations. This really has been a highlight lately as has a total of four different boards to allow for easy differentiation within math stations. Students can start with three numbers without parentheses and move all the way up to Order of Operations with Exponents using four numbers and parentheses (which is the follow-up set). Sometimes my students just need a good old task card. Setting up my Math Workshop stations with a set of Order of Operations Task Cards allows students to continue to evaluate numerical expressions with exponents. The great thing about Task Cards is that they are very easy to implement and students don’t interrupt Small Group lessons as they know what to do. And last, but certainly not least, is my Order of Operations Spin to Win (it’s in the FREE sampler) that is truly pure fun. The luck of the spin is what creates the equation that the students will be solving. 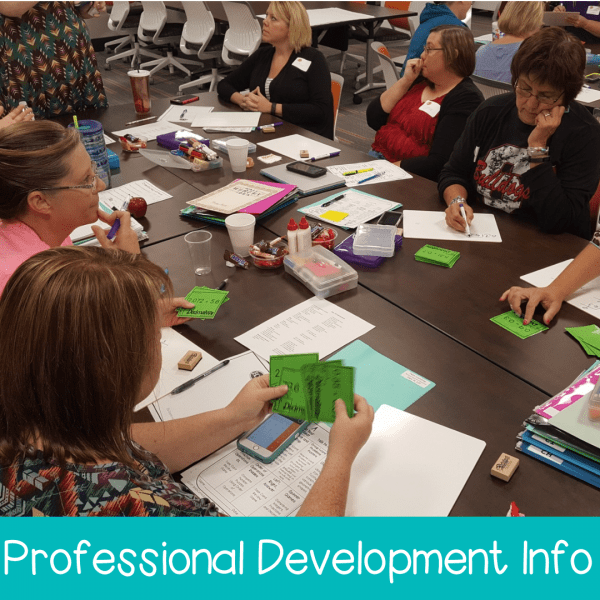 Recently when working with a set of teachers they came up with the idea of it being a race to finish as well which I thought was an awesome idea. The reason for adding these into the rotation was because of the key component added toward the end with a reflection component. 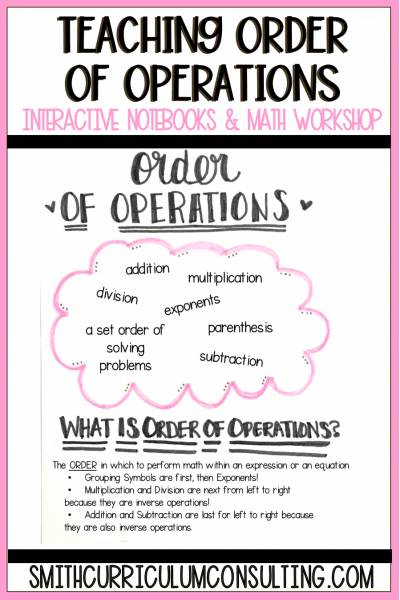 So how often do you incorporate practice in your class for Order of Operations? Let me know and feel free to check out my linked items that might just help you out!